Hello RF guys! we have some good news. We are developing (almost ready for public use) a new Refamo 3.4.0+ and all future versions will have Real Flow plugin. I will try to post the news here also. 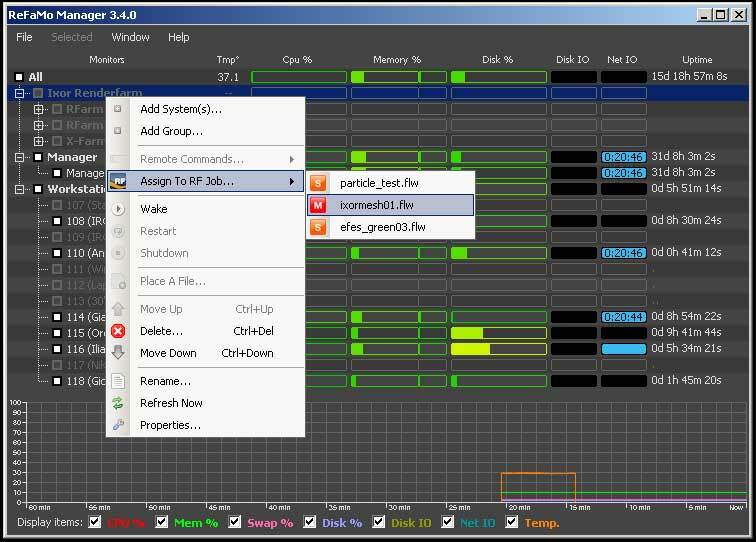 - Auto Start/Force Start a Simulation & Meshing Job. - Status Display of selected Job. - Highlight in Refamo-Manager a selected System. - Job Stopwatch and Timer. - Set Custom Frame Ranges. - Set Maximum Consecutive failures until a System is removed from job. - Set Maximum Consecutive failures until a Frame is aborted. 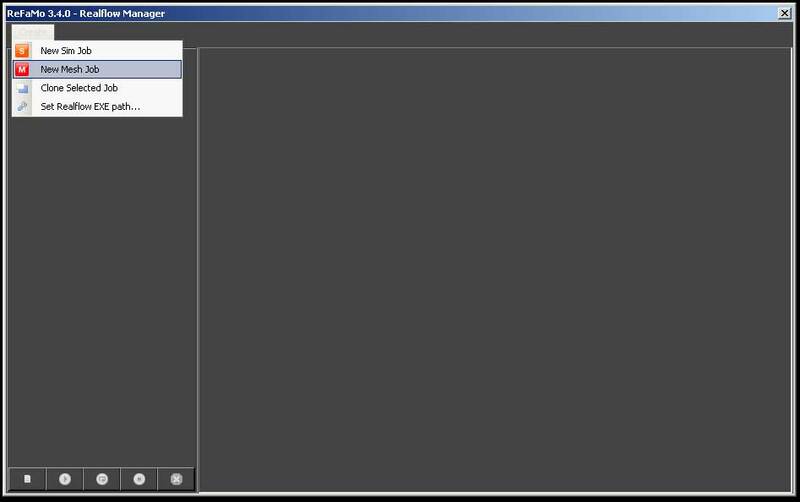 - Select Specific frames to be meshed first. (heavy meshes / every Nth frames can be moved to top of the queue. - Display PC information on mouse roll over. is this available it looks cool. It is not yet available for public use. I estimate during April-May 2011 will be. Some documentation material missing + video tutorial I guess. It seems that most bugs have been fixed. There is a bug in Realflow command line and it is always meshing twice the 1st frame of the range - this is something that NL needs to fix. andronikos916 wrote: There is a bug in Realflow command line and it is always meshing twice the 1st frame of the range - this is something that NL needs to fix. lukeiamyourfather wrote: [quote=andronikos916]There is a bug in Realflow command line and it is always meshing twice the 1st frame of the range - this is something that NL needs to fix. Hi Like, why NL is not fixing such a bug? Anybody close to NL guys to address that issue? We have tested Refamo on meshing simultaneously using our Renderfarm around 70+ frames. 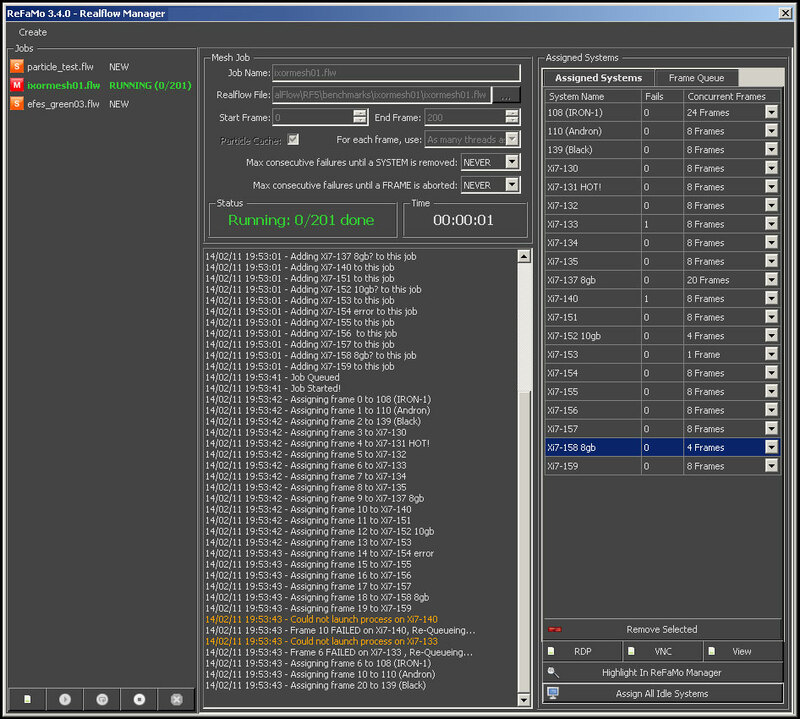 If the scenes is not taking more than 3Gb we can mesh 280frames simultaneously. andronikos916 wrote: Hi Like, why NL is not fixing such a bug? Anybody close to NL guys to address that issue? Not sure, I submitted it a while back (long before RealFlow 5) and it was never addressed. Maybe had bigger fish to fry? The performance loss is substantial in some situations. We didn't know about this bug. We'll fix it. Thank you for reporting. Great - thanx for the support Luis.